You will recall that we shared that 2017 applicants can check their pre-selection status today from 11.30pm. 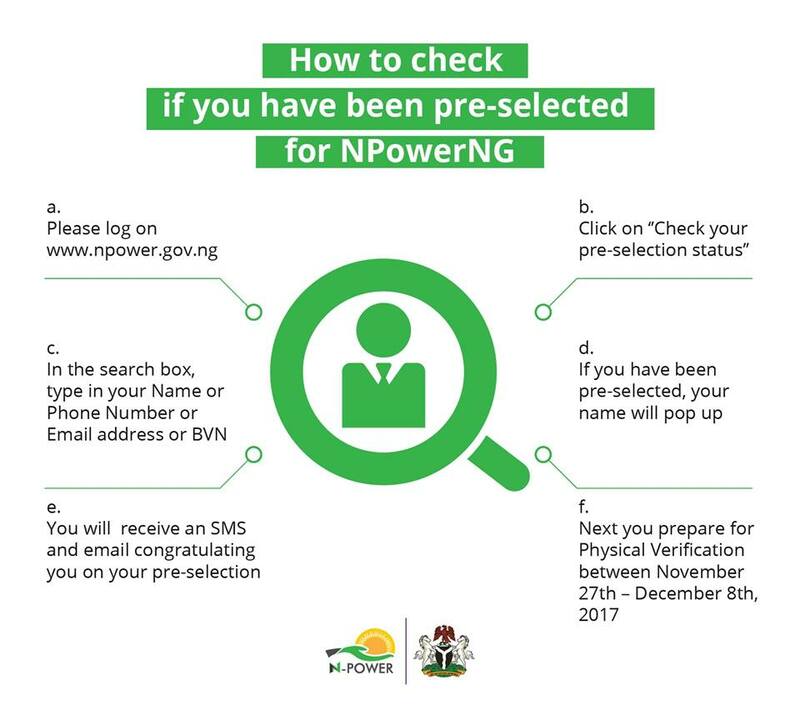 Below is how to check your pre-selection status. If you have been pre-selected, your name will pop-up. Prepare for your Physical Verification between November 27th – December 8th 2017.